Only the all time leader in playoff buzzer beaters. Please see the post immediately before this reply of yours. Yeah I don't understand why Luke would have Bron, Kuz, and Ingram on the bench together. Your 3 best players. While Embiid and Simmons had their way with us. That needs to be in every thread. Yep good job on JB, though I think Luke has him zoning too much. I really don't like it. Really like the defense, and the midrange looks good. He's on track. Bad shooting against Boston but affected the game in other ways. 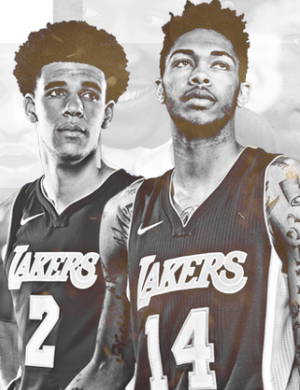 Today did a good job on butler, made all his free throws, and scored within the offense while Kuzma was hot. Imagine if we would start 2nd and 4h quarters with him instead of lance to help weather the storm when Lebron and Kuzma rest? Why did Luke go away from that? I don’t get it. BI is a good player. His midrange game is getting better, and his free throw shooting is improving. I thought he made some nice passes today. Needs to work on his 3 point shooting in the offseason and make and take more threes. Hopefully if he is still here he has a better coach to utilize his talents. I think Ingram was the only dude playing defense today. AND put up 19 along with it? Played a decent game, didn't get enough touches, the usual. I can think of 20 other teams that would utilize him better. I agree. He had another great game on defense. A great chance to be a consistent two way impact player. He works hard, and needs to be coached by someone who maximizes his talents. I hope it's with the Lakers. It's not like he's getting a ton of open looks from 3. Even though he doesn't take the few semi-open looks he gets, this narrative that he's passing up a bunch of 3's is overblown. Clearly he's not at a point where he's going to make them at a decent rate. Which is why he's not taking them. I don't get the logic in taking a shot you aren't going to make, or have any confidence in making. He'll increase his attempts when he's confident he can knock them down. I would think he knows when he'll be ready to take more.